Pathways is upon us, and thanks to our Club Treasurer, Melissa Niesen, we've developed a really good way to help us all get started. 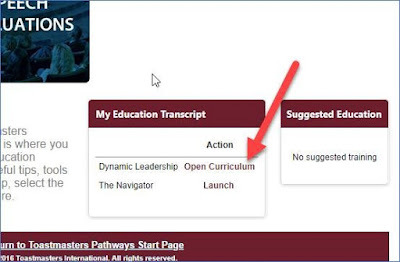 This is a pretty straightforward walkthrough on enrolling into the Pathways Education Program for the first time. All it takes is 10-15 minutes! 1. You’ll log onto www.toastmasters.org or https://www.toastmasters.org/start-pathways. 2. 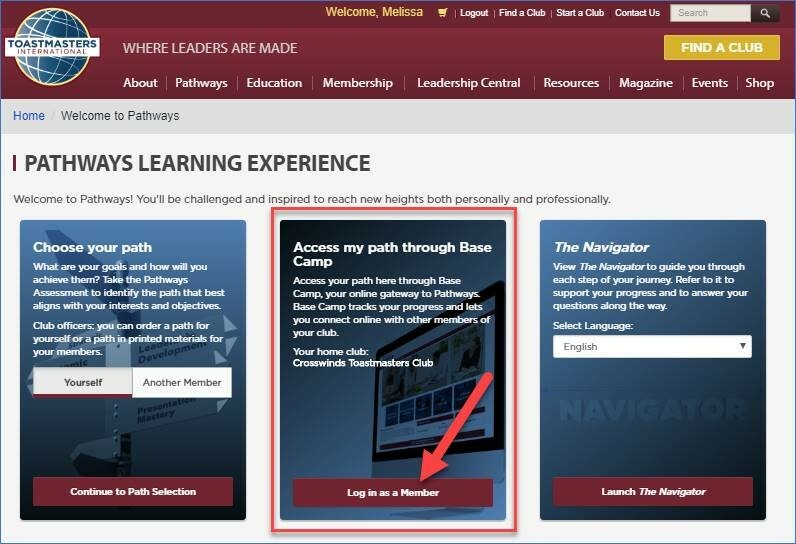 You’ll see an option to choose your path, which will ask you ~15 questions and recommend three paths. Pick the one that sounds the best, or if you want to see the nitty-gritty details of all the paths, you can see the full program at many places on the web. You have two years to finish your existing manuals, so no rush if you like those. You can also work through your manuals side-by-side with Pathways. When you start Pathways, share your experience with the rest of the club. Ask questions, etc. This is new and a change, but we can figure it out together!